My name is Valerie Bottazzi. I believe we can all live life of joy and purpose. That is why I chose to walk my talk by working as a business coach for courageous women over 40 to overcome their limiting beliefs in order to believe in themselves and their power to succeed. The way I do this is with a 90 day 1 on 1 signature-coaching program. Read more about my "90 Day Signature Program"
I am a happy mom of 2 boys, now 15 and 18 and proud as I watch them become themselves. I made a difficult and wise decision 11 years ago when I divorced from their abusive father and when I was the sole breadwinner as a top executive in a multinational Corporation. The decision was to drop that lifestyle and be close to my sons, I chose to be THERE as they grew into becoming men of value. At the time I was living in Italy having been born and raised in Argentina and having lived in California for 8 years I took the broker’s license courses and became a Realtor in Tuscany. They were not easy years, hardship had many faces from lack of material means with the crash of the world economy, rough emotional roller coaster through disagreements with my ex, healing old wounds, and reaching for my inner truths. Fast forward to the present moment. A new awareness, a new level of consciousness, my boys no longer little guys but each a “manboy” in transformation, an amazing soulful life partner by my side, and my whole system telling me I couldn’t keep living a life that was not centered in my heart. So 2017 is the year in which I have dropped and still am dropping “distractions”. 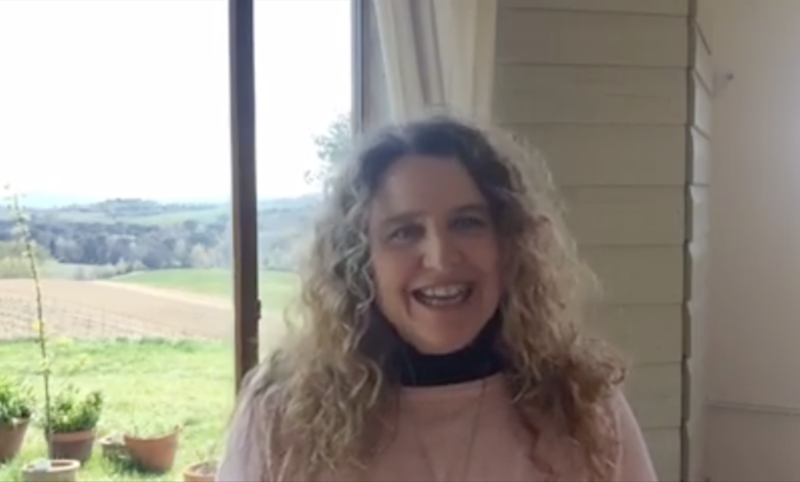 My Tuscany Real Estate business will be closed/sold for good within the next 60 days, and my whole energy and intent is directed into my coaching and mentoring business. Valerie Bottazzi as a soulful business coach, manifesting the lifestyle I dream off, supporting my family and to allowing me to travel, work, have fun and live life to my fullest expression. It is a dream come true that is only getting bigger, better and more powerful. This is what I wish for you. That you can find your passion, that you can connect with your purpose. If you know your passion and your purpose I can help you build a business around it! Hey, I can also help you FIND your passion and your purpose. My invitation is for you to reach for your dream life, to have the courage to get out of your comfort zone, particularly if you are unhappy and unfulfilled.